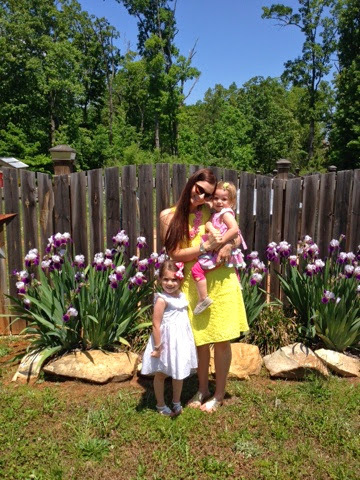 Yesterday, I celebrated Mother's Day with my sweet family. These sweet girls made me a mother and a better person. 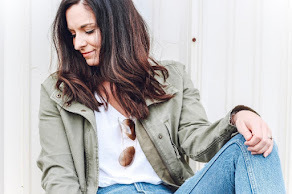 I am overwhelmed with joy as I think back on the past four years. Motherhood is such an incredible blessing and I am honored to be Julianna and Olivia's mother. I am so thankful for them and the love that they fill my heart with. Saturday afternoon was stressful but I felt a sense of peace and calm when I looked in the backseat and saw my sweet girls holding hands. Love. That's what this life is all about and they show me more love each day than I ever could have imagined. I came downstairs to find this cute setup from my husband. 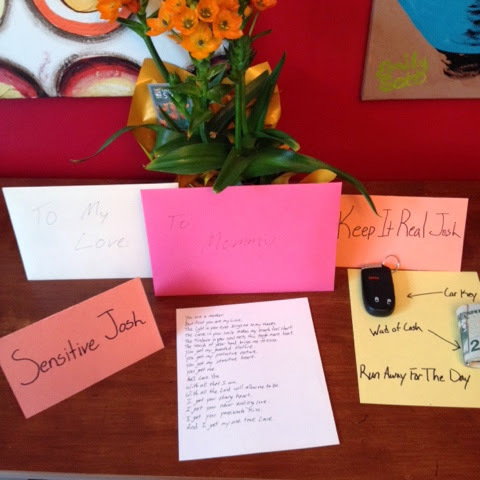 A card from the girls, a card from him, a poem he wrote for me, flowers, cash and keys to run away for the day (when I can). It was all so thoughtful and sweet. He is so sweet (and sensitive) and shows me so much love every day of the year. I am very blessed to have him as my husband. I also got some precious handmade gifts from my girls. 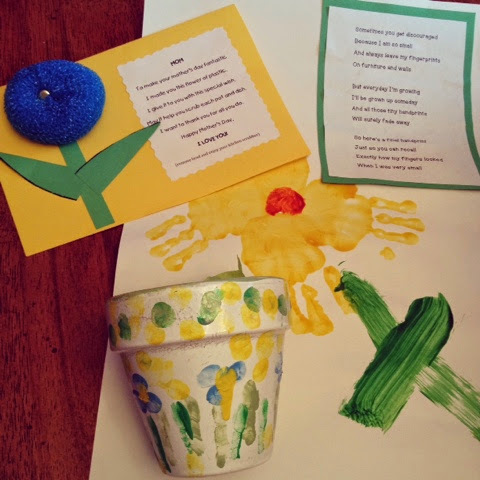 A card (that I helped Olivia make at storytime), a handprint flower from Julianna, and a flower pot with Julianna's fingerprints on it. I love these gifts and will always cherish them. 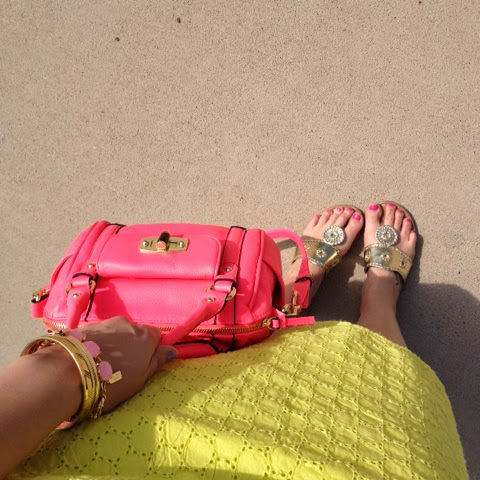 It was a wonderful Mother's Day!